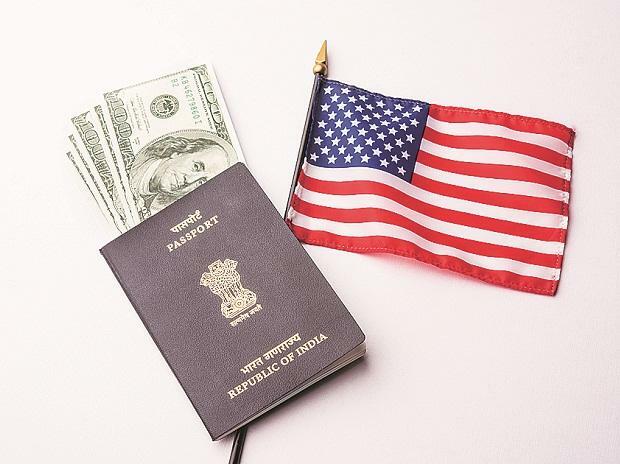 A US court has removed from abeyance a lawsuit challenging work authorisation to H-4 visa holders after the Trump administration delayed a formal notification over the issue that can impact spouses of H-1B visa holders that include Indians. The Barack Obama administration in 2015 allowed H4 visa-holders - mainly spouses of the H-1B visa-holders - to be gainfully employed in the US. The group 'Save Jobs USA' took the matter to the appeals court after a district court upheld the Obama administration's decision. The H1B visa is a non-immigrant visa that allows US companies to employ foreign workers in speciality occupations. H-4 visas are issued to the spouses of H-1B visa holders, a significantly large number of whom are high-skilled professionals from India. The US Court of Appeals, District of Columbia, in its order on December 17 ordered that the motion to schedule briefing and oral argument be granted and this case challenging work authorisation to of H-4 visa holders "be removed from abeyance." At least three times, the Trump administration told the court that it has decided to revoke the Obama-era decision and a formal notification would be issued soon. While the notification on the matter is yet to be issued, the Department of Homeland Security (DHS) in its annual agenda has said that it is determined to revoke work authorisation to certain categories of H-4 visa holders. It had said that the notification would be issued this month. In September, Save Jobs USA which had filed the lawsuit urged the court to remove the abeyance and move forward with the case. The case is before a three-member bench, which includes Indian-American Sree Srinivasan. In its submission, Save Jobs USA argued that even though the case has been delayed, no proposed rule has been submitted to the Office of management of Budget. "Justice delayed is justice denied," Save Jobs USA said and rued that the longer the case remains in abeyance, the longer American workers will "suffer injury from the presence of foreign competitors in their job market". As per the latest court order, the case is no longer held in abeyance and the new briefs must be submitted by Save Jobs USA by January 16, 2019. The Trump administration has time till February 22, 2019 to file its response. In a related development, the court also granted permission to 'Immigration Voice' to intervene in the case. Immigration Voice is a nonprofit organisation working to alleviate problems faced by legal high-skilled foreign workers in the United States. "This is a major development because the Court of Appeals does not typically allow a party to intervene at the appellate level and it is significant that the court granted our motion to intervene," Immigration Voice said Tuesday. "That indicates the court has some concern (and with good reasons) that our interests will not be adequately represented by the DHS/Government," it said. "Since the court has also granted our motion to intervene, we get to file a brief in opposition to the new brief that Save Jobs USA will file under the soon to be issued briefing schedule," it argued. Given that the DHS has already declared its intent to get rid of H4-EAD programme, the court's acceptance of its motion to intervene gives them a fighting chance to make a representation on behalf of its members for whom H4-EAD is so important, Immigration Voice said. Spouses of H-1B visa holders are not allowed to work with just an H-4 visa. There is, however, an option to obtain an EAD pass which allows them to work with an H-4 visa. "For that outcome, the intervention in the lawsuit is the only thing that is keeping H4-EAD programme alive and it stands between 50,000+ families from losing their right to provide for their families," Immigration Voice said. According to an official, the US Citizenship and Immigration Services (USCIS) continues to review all employment-based visa programmes, including H-4 EADs. "No decision about the Obama administration regulation granting work authorization to certain H-4 spouses is final until the rule-making process is completed," the official told PTI.